Taste will help you provide family and friends with a sweet way to celebrate special occasions, holidays, and everyday life with sugar and spice. 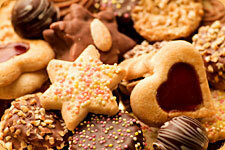 Have a beloved family cookie recipe? We're happy to use it and bake your family's favorite!